Blend the strawberries and 1 Tablespoon of agave syrup (if using) in a blender or food processor. In a small bowl, stir the yogurt with 1 Tablespoon of the strawberry puree and 1 Tablespoon of agave syrup. 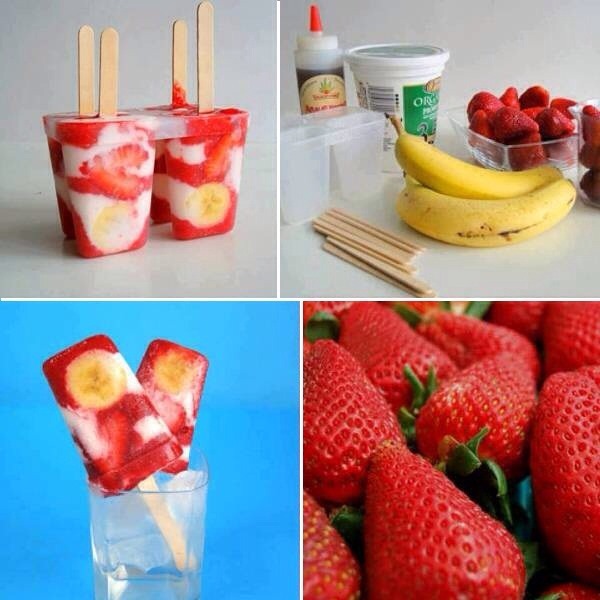 Fill ice pop molds with strawberry puree and yogurt (alternating to make layers) and slices of bananas and strawberries. Insert sticks and freeze for 4 hours or until frozen. Run under hot water to release.